Engineers typically design products based on known applied stresses and the yield strength of the material of construction. Traditional design calculations coupled with conservative factors of product safety, provide designs with a low likelihood of fracture. Consequently engineered products do not typically fracture due to a single-cycle overload as long as the loads experienced during use are maintained within design specifications. However, engineers may overlook the damaging effects of stresses that are well below the yield strength of the material. If these stresses are applied cyclically they can produce microscopic damage to the material. This damage accumulates over thousands, or even millions of cycles, prior to producing a catastrophic fracture. Engineers who design products that experience fatigue failure may have calculated the correct applied stress but did not consider the effects of cyclic loading. In other cases, operation may introduce a cyclic load that was not considered in the initial design. Biomedical products represent one area where unexpected loads may occur due to the complex nature of the loadings that develop within the human body. 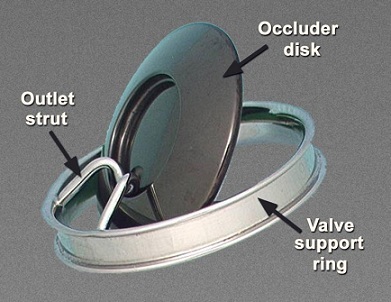 The Bjork-Shiley convexo-concave heart valve (pictured below) offers an example of a medical product that developed unexpected loads on the outlet strut. Since heart valves experience millions of cycles, small loads can produce fatigue fractures that lead to negative outcomes for the patient. When designing products that experience millions of loading cycles, engineers must have a full understanding of the effect of these complex loads on the performance of their products. Computational analysis (e.g., structural finite element and computational fluid dynamics) can provide engineers with the tools necessary to better understand the nature of the stresses in their products. For designs where a fluid and structure interact, multiphysics computational tools can provide more accurate analysis of the stresses developed and therefore greater fidelity in assessing the influence of loading. Using these tools engineers can better assess the influence of product loading and thus develop better and safer products. 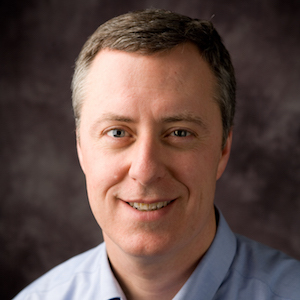 Kyle C. Koppenhoefer, Ph.D., has over twenty years of experience working with fatigue design. He and Jeffrey Crompton started AltaSim Technologies, LLC ten years ago to assist in the design of new products through the application of advanced computational tools. To facilitate this goal, AltaSim Technologies became a founding member of the Certified COMSOL Consulting program.